Andrew is a clinical pharmacist at the Mint Health + Drugs - CMP in Edmonton, Alberta. In this role, Andrew works primarily with inner-city patients who often require daily assistance. In his effort to provide marginalized patients with the immediate support they need, Andrew’s focus expands well beyond the traditional role of the pharmacist. Since graduating from the University of Alberta in 2014, Andrew has proven himself to be an innovator and a role model for his colleagues and students. Recognizing the need to enhance his team’s ability to provide seamless and quality patient care, Andrew developed and implemented new clinical processes to assess the appropriateness and safety of various prescription medications prior to dosing. With these processes in place, pharmacists at CMP can maximize their clinical opportunity with each patient, as well as minimize and prevent the risk of drug errors and adverse events. This efficiency has allowed for stronger interdisciplinary collaborations with neighboring clinics and services such as the Boyle McCauley Health Centre (BMHC) and Heavy Users of Services (HUoS), where health care professionals, social workers, and the Edmonton Police Service work with Andrew and his team to provide care for patients with multiple barriers to health care, such as homelessness, mental health and addiction. 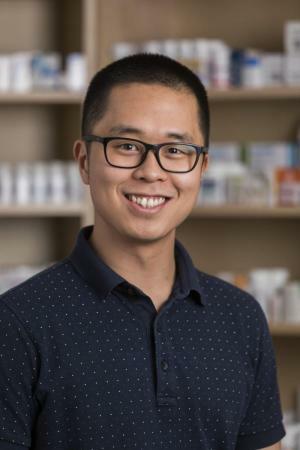 Andrew has also served as an active role model for pharmacy students, sharing his knowledge as a preceptor for the experiential education program offered through the University of Alberta Faculty of Pharmacy. Working at an inner-city pharmacy, Andrew provides his students with practical experience working with at-risk patients. With each student, he focuses on relevant topics such as mental health, addiction and HIV when working with patients in an inner-city environment. Andrew also works as Lab Facilitator and Preceptor for the University of Alberta Faculty of Pharmacy.